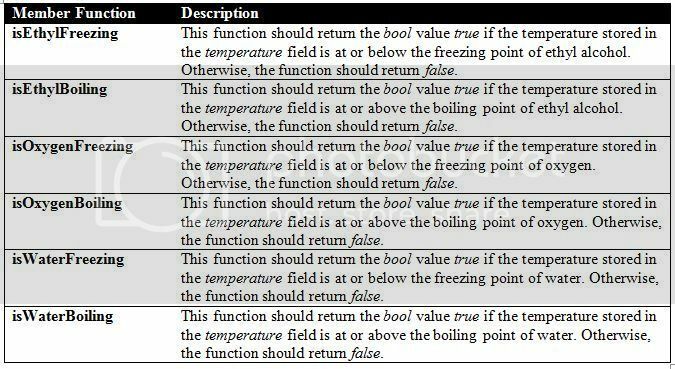 The following table lists the freezing and boiling points of several substances. Write a program (driver.cpp) that demonstrates the class. The program should ask the user to enter different temperatures, and then display a list of the substances that will freeze at that temperature and those that will boil at that temperature.